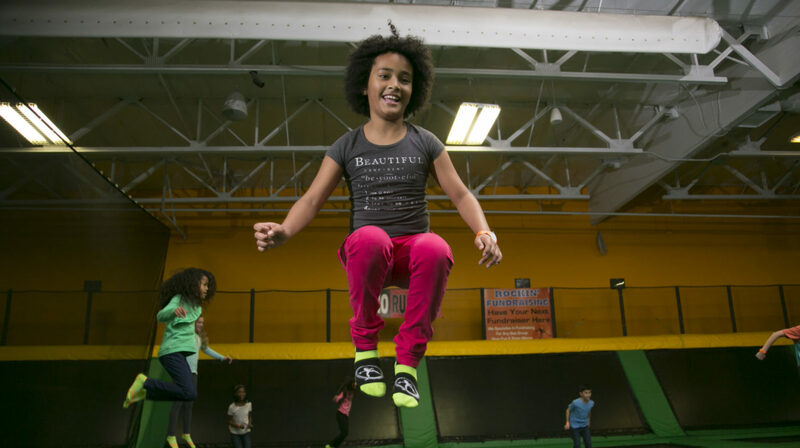 The Jump Arena is our main jumping and fun zone where friends can jump together and perform acrobatics while our Rockin’ Jump staff monitor safe play from all angles. 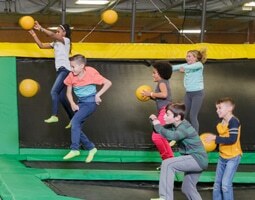 We combine the thrill of classic dodgeball with the excitement of The Ultimate Trampoline Park®. 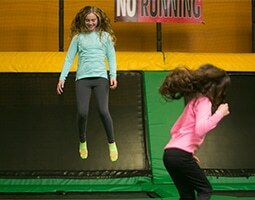 A great time for birthday parties, group and corporate events, and field trips. Not in the NBA yet? You’ll feel like you are! 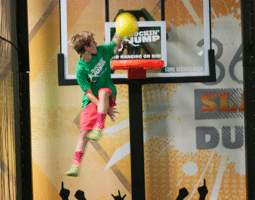 Slam Dunk Zone, where you can slam dunk like a pro on trampoline launch pads that can bounce you high in the air. Show off your dunk today! 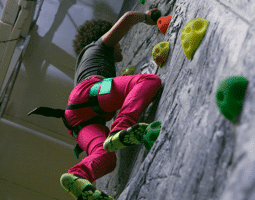 Challenge your friends to a vertical race to the top of this challenging multi-level climbing wall. Climbing lanes vary in difficulty from beginner to advanced. The first climber to the top that rings the buzzer wins. A main attraction for our ultimate birthday parties! 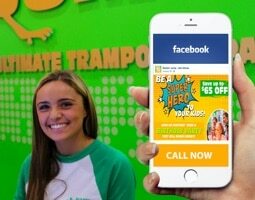 Welcome to Rockin’ Jump Vacaville! We’re people like you who want to exercise, but also like to have fun. Lots of fun. 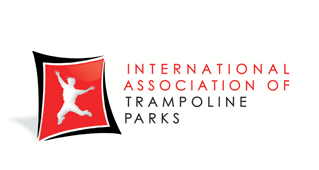 So instead of stairclimbers and weight machines, we decided to create a place where you can soar in open jump arenas, play trampoline dodgeball, do flips and somersaults. There’s no need to look any further for your next birthday party. 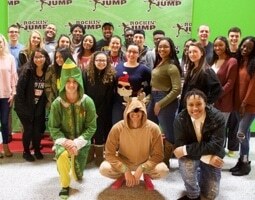 Rockin' Jump offers a truly unique party experience with an amazing indoor trampoline park facility full of exciting attractions where party goers will have a blast. Learn more about our current and upcoming promotions, deals, coupons and offers. 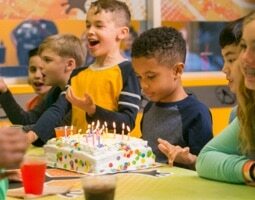 From unique birthday specials and holiday events, to sleepovers and summer camps, we have something fun to offer everyone!